to the escape hatch! 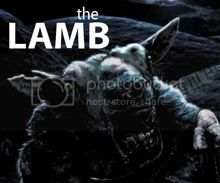 : LAMBCast #224: Whatcha Been Watchin' Lately? 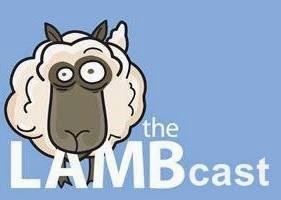 LAMBCast #224: Whatcha Been Watchin' Lately? On the latest LAMBcast, Jay and I talked about...movies we've seen recently! Yes, it's another round of Whatcha Been Watchin' Lately? Joel, Kristen, and Pete Conway joined us to talk about Irreversible, Red 2, A Million Ways to Die in the West, Tracks, and Nashville. Here's a few notes and highlights from the episode. "After the success of the earlier film in 2010, Ernest Borgnine always held out hope he'd be around to reprise his role as Henry the records keeper in the 2013 sequel. When interviewed in April 2012, he mentioned there was talk about it over the years and made one request to the producers - "I told them if they do it, I want to carry a gun this time" He kept in touch with screenwriters Jon Hoeber and Erich Hoeber and in the end would have had a major role in a sequence at the start of the movie. When Ernest passed away in July 2012, three months prior to the start of production, his scenes were reconfigured and would feature an uncredited Titus Welliver". While on the topic of Irreversible, Jay and I talked about the odd tone/frequency that plays in the movie. "The first 30 minutes of the film has a background noise with a frequency of 28Hz (low frequency, almost inaudible), similar to the noise produced by an earthquake. In humans, it causes nausea, sickness and vertigo. It was the main cause of people walking out of the theaters during the first part of the film in places like Cannes and San Sebastian. In fact, it was added with the purpose of getting this reaction." For my rant/rave I yammered on about the Ghostbusters 3/Max Landis news. Head here if you'd like to read more about that. And yes, I’m aware that I confused the words rant and rave at one point. "She’s like the George Bush of people from Jurassic Park." - Me talking about Ariana Richards, who is now an artist. Finally, stalling for time during Last Lamb Standing by pretending you've been cut off Skype shall from now on be known as "Joeling".